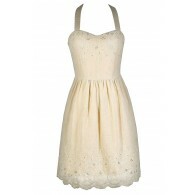 This dress has a casually cute hippie chic vibe that makes it perfect to wear to any concert or outdoor gathering. The Ring My Bell Longsleeve Dress is fully lined, except at the sleeves. 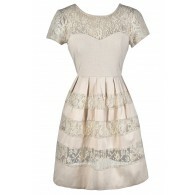 It has a rounded neckline and long sleeves that flare out, giving them a bell shape. Crochet lace trims each sleeve, adding detail to this look. A fabric sash wraps around the waist and can be tied into a bow, allowing you to control the fit. A hidden back zipper completes this dress. Details: Lined except at sleeves. Hidden back zipper. 70% cotton, 30% polyester. Lining: 100% polyester. Hand wash cold water separately. Color will bleed. No bleach. Hang to dry. Small measurements: Length from top of shoulder to hemline: 33". Bust: 32". 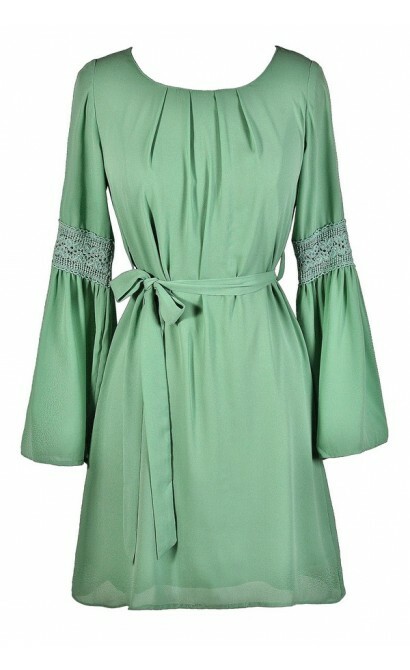 You have added Ring My Bell Longsleeve Dress in Sage into Wishlist. 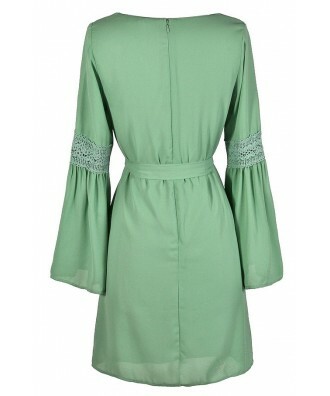 You have added Ring My Bell Longsleeve Dress in Sage for Stock Notification. 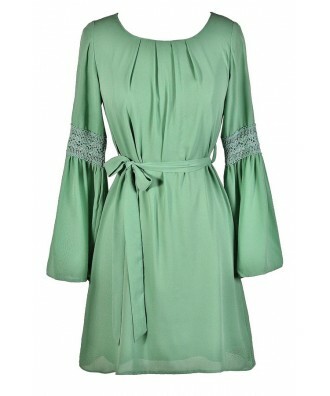 You have set Ring My Bell Longsleeve Dress in Sage as a loved product. 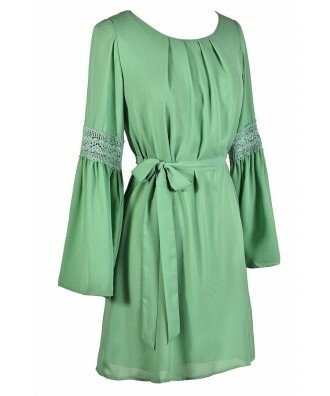 You have removed Ring My Bell Longsleeve Dress in Sage as a loved product.